13in13: my year of living creatively. 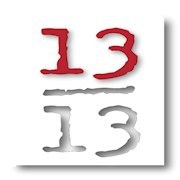 Thirteen artistic events in 2013 by Joseph Reed Hayes. After 29 productions and readings of his works in the U.S. and three countries in the past decade, and five years as producer of the Jazz On Edge series, playwright Joseph Reed Hayes is spotlighting Orlando's independent theater community and its vibrant jazz scene by writing, presenting and producing 13 events of theater, jazz, readings and workshops in one year. 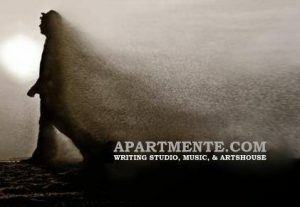 In 2012 he was awarded a United Arts Professional Development Grant to create the groundbreaking House Theater Project, and completed a successful Kickstarter campaign to launch 13in13. He is the dining critic and feature writer for Orlando Magazine. A non-profit site that specializes in care and education for children. 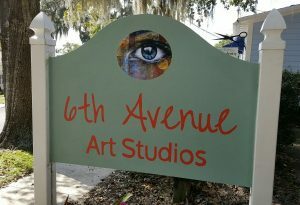 Working art studios for Christine Peloquin, Heather Earnest, Jennifer Ball, Michael Hawthorne, Gretchen Bies, Hatice Bradway, Jenny Cook and Sheila Null. 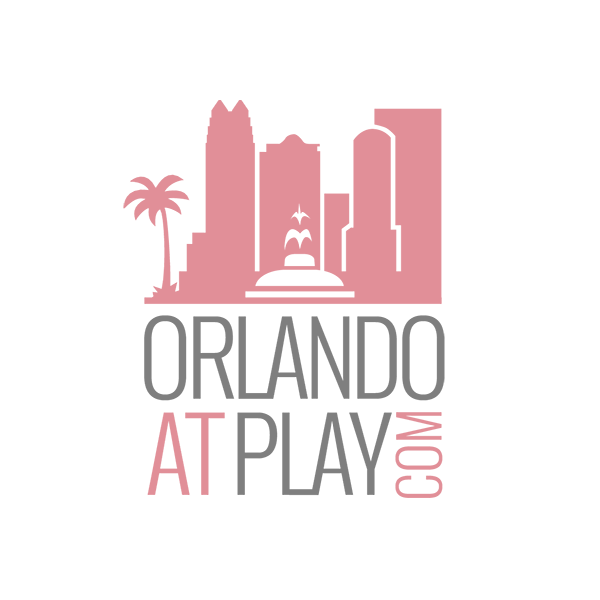 90.7 WMFE is a non-profit, member-supported, community-based public broadcasting company that operates 90.7 WMFE-FM, metro Orlando’s primary provider of NPR programming; and 90.7-2 Classical. Part of the community since 1965, WMFE focuses on providing quality national and local news and programming. A Gift For Teaching is the primary provider of free school supplies that enable children to dream, create and experience success in school and life. 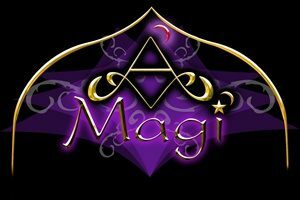 A Magi Dance Company performs vivacious gypsy dances fused with mystical, classical oriental belly dance plus drumming/percussions, fire/sword dancing/balancing. Directed by Melanie LaJoie. A Space For is committed to serving the community by providing educational opportunities which increase inner/outer peace, personal growth and joy. AAP Dance offers dance instruction for children and adults–beginners and advanced–in classical, contemporary, and urban styles of dance (ballet, modern, tap, jazz, hip hop, contemporary, acrobatics, and beyond) in a professional, positive, fun, multicultural dance center that promotes a spirit of excellence and a love for the arts in each of its dancers. We welcome all ages and abilities, and we are happy to be able to offer classes that serve a diverse population. Our highly trained staff has performance experience and pedagogy training that equip them to prepare the serious student for professional work, as well as create a fun and educational experience for the recreational dancer. At AAP Dance, we consider our students family. We foster an environment of love and encouragement that provides a “safe” place to learn, while artistically and technically challenging each dancer. AAP Dance is proud to be partnered with many national and local dance and dancewear companies to provide scholarships and opportunities for deserving youth. If you are interested in partnering with us and giving monetary, material, or in-kind donations, please contact our office at admin@aapdance.com. AAP Dance offers dance instruction for children and adults–beginners and advanced–in classical, contemporary, and urban styles of dance (ballet, modern, tap, jazz, hip hop, contemporary, acrobatics, and beyond) in a professional, positive, fun, multicultural dance center that promotes a spirit of excellence and a love for the arts in each of its dancers. We welcome all ages and abilities, and we are happy to be able to offer classes that serve a diverse population. Our highly trained staff has performance experience and pedagogy training that equip them to prepare the serious student for professional work, as well as create a fun and educational experience for the recreational dancer. At AAP Dance, we consider our students family. We foster an environment of love and encouragement that provides a “safe” place to learn, while artistically and technically challenging each dancer. Our company was incorporated in Florida in 2013 and to date we have operated solely as a dance studio. This season, we will begin to introduce additional elements of the AAP Dance brand, which include a professional dance company. The Accidental Music Festival, now in its fourth year, is a celebration of classical, jazz, experimental, improvised and electronic music. Each year we present a mix of free concerts and educational programming, as well as ticketed events featuring international artists. The Accidental Music Festival is a program of Timucua Arts Foundation, Inc., who believe the arts belong to everyone. THE SOCIO-CULTURAL ENTERPRISE Africans In Orlando LLC is a socio-cultural enterprise with a vision of being the premiere and signature provider of urban-African experiences in the greater Orlando region of Florida. OUR BUSINESS EDGE As you know, building strong business relationships always begins on a personal level. So, whether you’re looking to boost sales, bolster awareness or build client relations– business-to-business growth, thrives on networking within social and professional organizations. At Africans In Orlando LLC, because of our cultural heritage, we understand that forming one-to-one relationships with prospects and customers provides individuals and companies a clear competitive edge in today’s cluttered marketplace as people now buy based on what they trust and feel connected to. Africans In Orlando LLC, provides the ultimate opportunity for truly effective business-to-business relationship marketing. 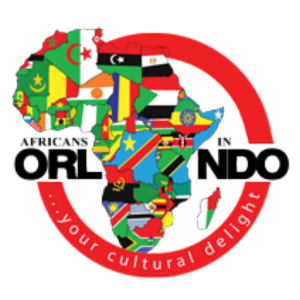 Beyond advertising, exhibits booths and direct mail, Africans In Orlando LLC, delivers relevant interaction with more than 1000 targeted African consumers/clients that builds strong and lasting consumer/client base. Our reach also extends well beyond the African community as African-Americans, Europeans, Americans, South-Americans and Asians are great friends and connect with the African culture and brand, putting our direct numerical reach in the area to tens of thousands. 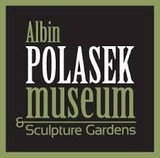 Founded in 1961, the Albin Polasek Museum & Sculpture Gardens features a unique art collection, with over 200 works by Czech-born American sculptor Albin Polasek, and the largest sculpture garden in Central Florida. The Museum offers guided tours of the historic Polasek residence and chapel, the gardens, rental and programming space in the historic Capen House, and a rotating exhibition gallery which offers fresh and provoking art exhibitions throughout the year. There's always something new featured in our gallery or blooming in our lush gardens. The Museum is the retirement home of 2004 Florida Artists Hall of Fame inductee Albin Polasek, is listed on the National Register of Historic Places and is one of only 30 members of the National Trust’s Historic Artists’ Homes and Studios. Premium online bakery in Orlando featuring made-to-order muffins, scones, cupcakes, crumb cakes, pound cakes, brownies and cookies. All products are professionally packaged and delivered free of charge. Premium bake shop in downtown Mount Dora featuring cupcakes, scones, muffins, cake slices, cookies and other tasty treats baked on-site every day. A wide variety of specialty coffees and teas perfectly complement the delicious baked goods. Both indoor and outdoor seating are available and free WiFi is offered. Chris Dupre has been playing the guitar since he was 16, and he takes his acoustic act all over Orlando. His style incorporates the sounds of artists like Jimi Hendrix, Bruce Springsteen and Stevie Ray Vaughan. And while you’re at Aloma Bowl, make sure to grab your favorite beverage and try some delicious food! Welcome to the official website of The Central Florida Chapter of the American Harp Society. We are a tax-exempt, non-profit 501(c)3 organization. Like our parent organization, our aim is to promote and foster the appreciation of the harp as a musical instrument, to encourage the composition of music for the harp, and to improve the quality of performance of harpists. Anastassia Ballroom & Dance is a performing arts ballroom dance studio in Leesburg, Florida. We offer group and private dance lessons, barré fitness, wedding choreography & monthly social dance party events. Lessons for children, teens & adults. Learn to cha cha, swing, tango, flamenco, mambo, salsa, waltz, samba, viennese, rumba, quickstep, foxtrot, barre, ballet vaganova and more at Anastassia Ballroom. 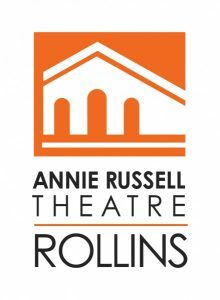 The Annie Russell Theatre provides performance opportunities for students at Rollins College, a liberal arts institution in beautiful Winter Park, Florida. The Annie hasn’t had a dark season in over 80 years, making it one of Florida’s oldest and longest-running theatres. By supporting the student performers, designers, and technicians on the Annie stage, you invest in the training of young artists and the development of talent in our community. The Rollins College Department of Theatre and Dance has graduated accomplished artists, including Buddy Ebsen, Dana Ivey, and Christopher Fitzgerald. Spend some time at the Annie, and make a commitment to the future of the arts in Central Florida and beyond. 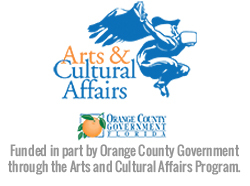 Arts events in the Northwest Orange County area are numerous and presented by many organizations and businesses. 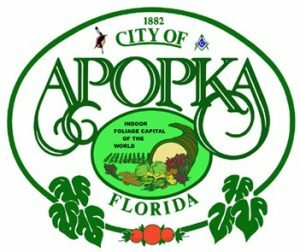 These events benefit the community, not only by providing entertainment to residents, but many are provided on a free basis or are used to generate donations for local, national, and international causes.